Authentic Native American Jewelry is unique in design and craftsmanship. Although some American Indian Jewelry Artisans are immediately recognizable, many take years to evolve and select their personal style of design including their Hallmark or Maker's Mark. 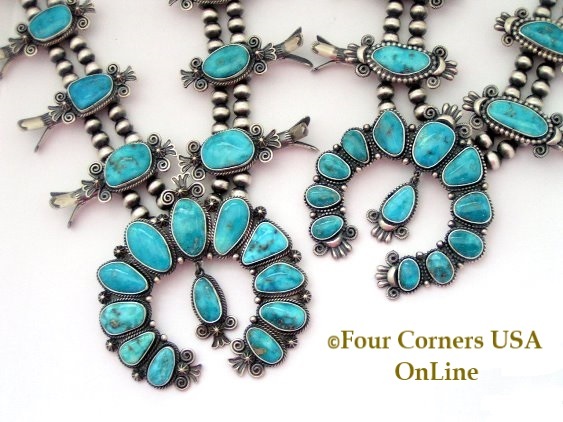 Four Corners USA OnLine is proud to offer selections from renowned established Native American Silversmiths including but not limited to Jane Francisco, Thomas Francisco, Wilbert Muskett, Wilbert Muskett Jr, Calvin Desson, Bruce Morgan, Freddy Charley, Alice Lister, Lyle Piaso as well as new and upcoming Artisans.